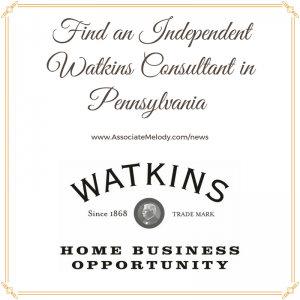 Looking for an Independent Watkins Consultant in the state of Pennsylvania? The following people will be happy to serve you. Best time to call: 9:00 am- 5:00 pm, other hours offered by appointment. Best time to call: between 8 am and 9 pm, please leave a message if we do not answer, we will get back to you. Serving North Versailles, PA – Pittsburgh, PA – Butler, PA – Irwin, PA – Monroeville, PA – Mckeesport, PA – Turtle Creek, PA and area. Serving Herndon, PA – Dalmatia, PA – Millersburg, PA – Sunbury, PA – Shamokin, PA – Trevoton, PA – Selinsgrove, PA – Lewisburg, PA – Pillow, PA – Berrysburg, PA – Shamokin Dam, PA and area. Best time to call: after 4:00 pm there is an answering machine. Serving Cornwall, PA and area zip code 17543 plus Lititz, PA – Ephrata, PA – Schaefferstown, PA – Brickerville, PA – Blue Ball, PA – New Holland, PA – Neffsville, PA – Lancaster, PA – Manheim, PA – Denver, PA – Kleinfeltersville, PA – Rothsville, PA – Gap, PA.
Best time to call: any time please leave a message if no answer. Also at the Annual Pennsylvania CHRISTMAS, GIFT, AND BUSINESS SHOW AT THE FARM SHOW BUILDING IN HARRISBURG. We are always adding new team members and they may not be listed yet. So if you don’t see a Consultant near you call toll-free 1-866-452-6948 to find out if we have someone to assist you. 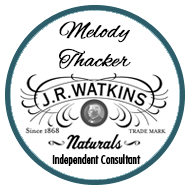 Go to the main find a Watkins Consultant page.